What would a Great Leader do to inspire their staff? 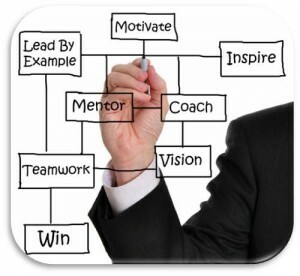 Blog › What would a Great Leader do to inspire their staff? Do you find yourself challenged in the management of your staff or in finding ways to develop them professionally and personally? Often times, as managers, it is forgotten that the people who make us successful have dreams and goals that they are pursuing alongside their daily jobs. They have lives and families outside of the palatial residences that they help maintain. How do you as a leader, keep them motivated to serve at their highest level? How do you drive them to better themselves, ensuring the satisfaction of your principal(s)? Do you provide opportunities for professional and personal development on a regular basis? 2. Get to know your staff – remember that they have a life outside the gates of your estate. Know their kids and spouses names and birthdays, understand what makes them who they are and what they desire to be/do. 3. Read – You’ve probably heard the saying that Leaders are readers, it’s true. Take note of what your principal is reading and follow suit. Provide reading materials for your staff and engage them with regard to the topic. To sum it up, be physically, mentally and spiritually fit. Cater to these parts of yourself every day and know that that is what great leaders do.